Plus Technologies has been developing enterprise level document and output management software since 1994. Furthermore, Plus Technologies’ focus is on improving business processes affected by documents. Plus Technologies serves customers of all sizes as our products, licensing, and pricing is scalable upwards and downwards. We have departmental as well as enterprise wide output management software implementations. 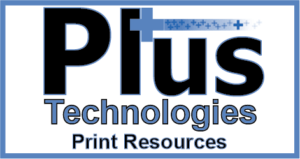 Additionally, the Plus Technologies output management and print management software product portfolio is called the OM Plus Suite. Specifically, it consists of multiple print software products each designed to solve a specific kind of output management problem. Explore our print resources on everything from recent news/developments, blog, videos, and our knowledge base page. Please contact us to learn more about our print resources, company, and products. Also, you can count on us to do our best to help you solve your document and output management issues. News releases from Plus Technologies. Stay up-to-date on current events and how the company is doing. Regularly updated informal news, events, and happenings within Plus Technologies. Current up-to-date videos on products, services, and our Company. Includes description videos and how-to use videos. Store of information, data, definitions, and descriptions commonly used in our field. Customer calls are taken directly by service technicians so customers do not have to go through an automated phone tree. Therefore, our customers get immediate support from qualified technicians. Moreover, support technicians create an incident for each support call taken and follow a rigorous management and escalation process to ensure each issue gets resolved as quickly as possible. All in all basic tech support coverage includes 12 hours per day for US business days. 7 x 24 coverage is also available.